Albuquerque’s Mayor and City officials have ignored us and have denied us fair input into this massive project. Current plans and information about this project have been impossible for us to access. 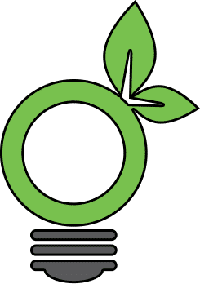 We ask – WHY? 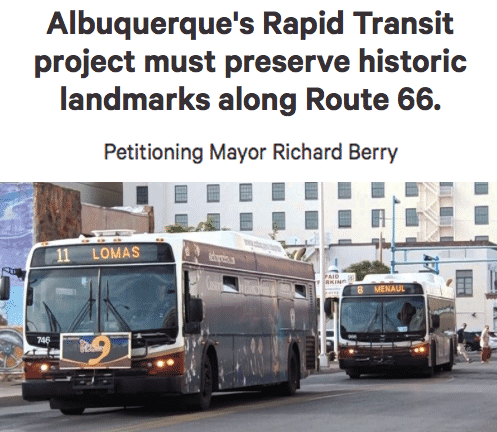 Mayor Richard Berry: Albuquerque’s Rapid Transit project must preserve historic landmarks along Route 66. This is the name of a petition that we’ve just created and we hope that you can help by adding your name in support. Our goal is to reach 1000 signatures and we need your help to do that! The petition is being hosted on Change.org, an website devoted to enabling campaigns for change all over the world. Jean, thanks for getting this going; I’ve signed and posted to Facebook, and will email to others.